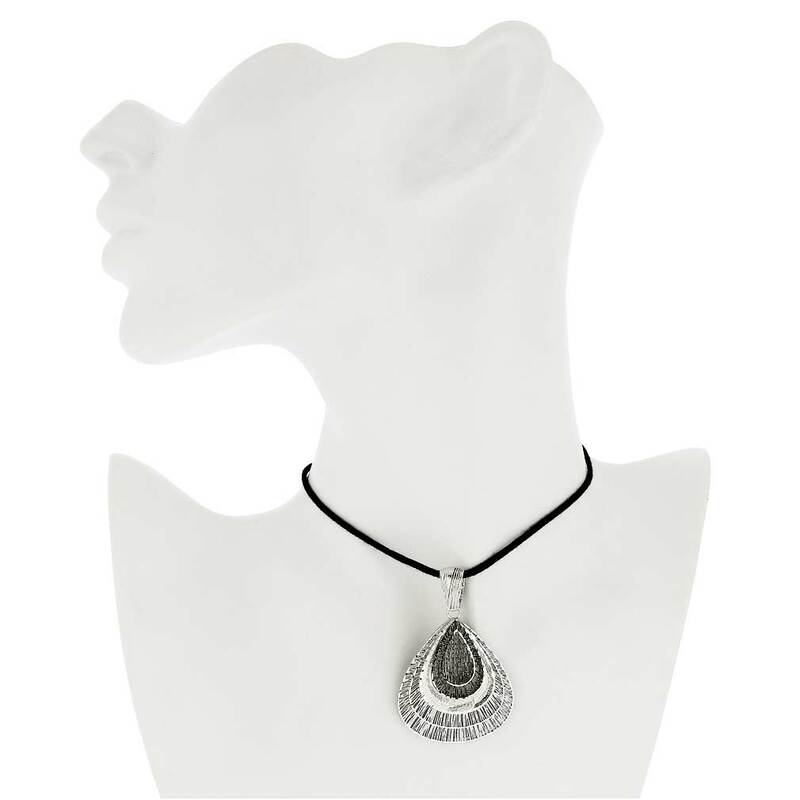 The artisanal tradition of jewelry-making long cherished in Italy comes alive in this trendy sterling silver pendant. 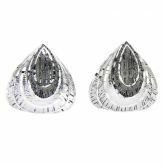 The elegant shape inspired by an oriental fan takes a contemporary twist with filigree design and different shades of silver achieved by rhodium plating of .925 sterling silver. This unique silver pendant comes from the silversmith workshops of Vicenza, a city in Northern Italy where families have been working in silver-making for generations. 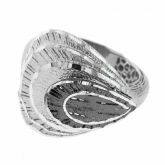 Today Vicenza is still known for its high-quality sterling silver creations, which artfully mix the old and the new, and showcase Italian sense of beauty and style. 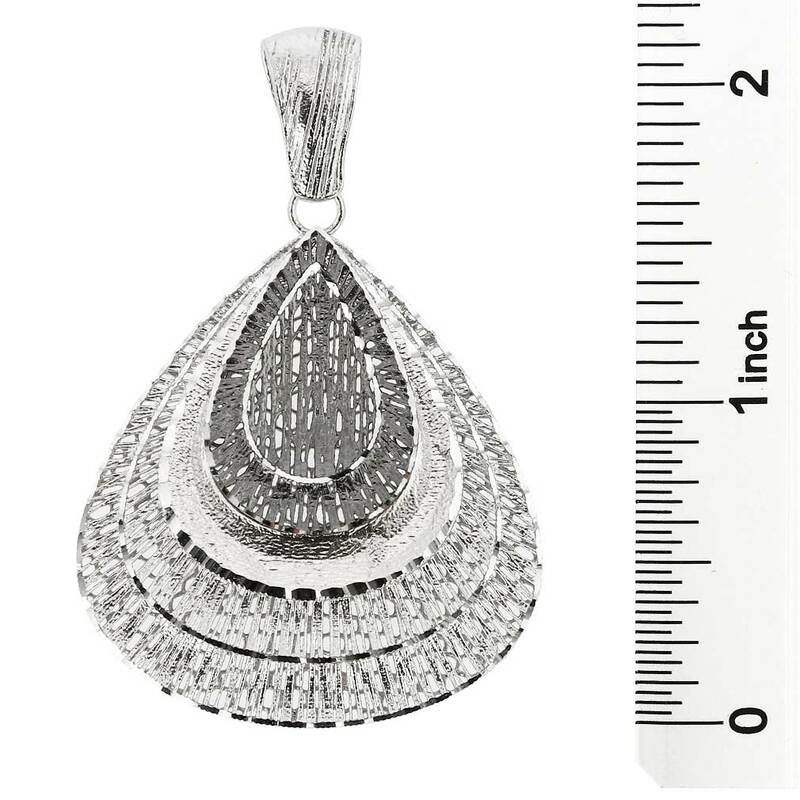 Measurements: The pendant measures about 1-1/2 inch in width and 2-1/8 inch in height. 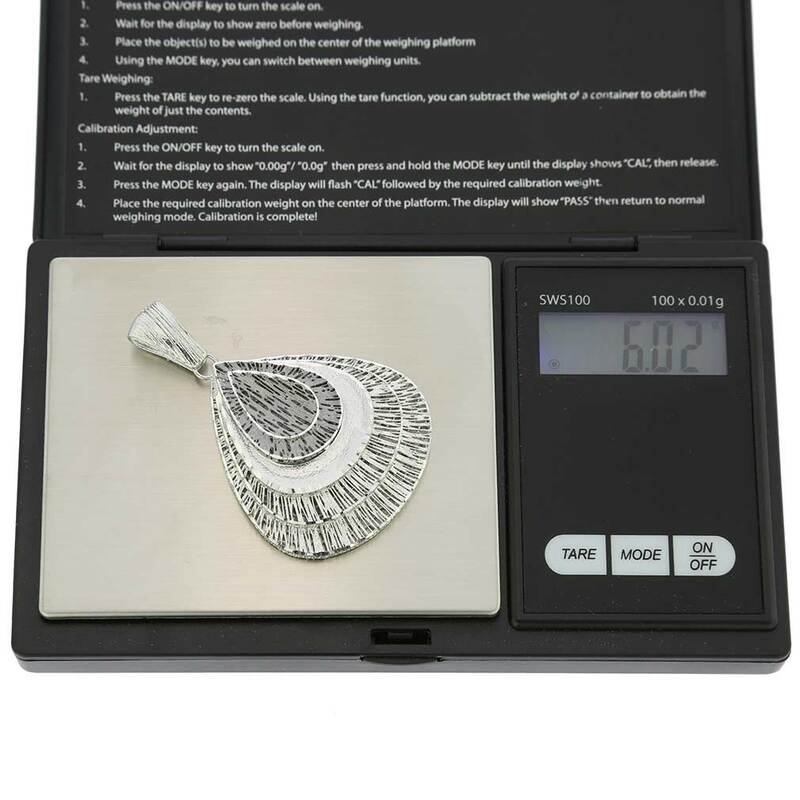 The weight of the pendant is approximately 6g. 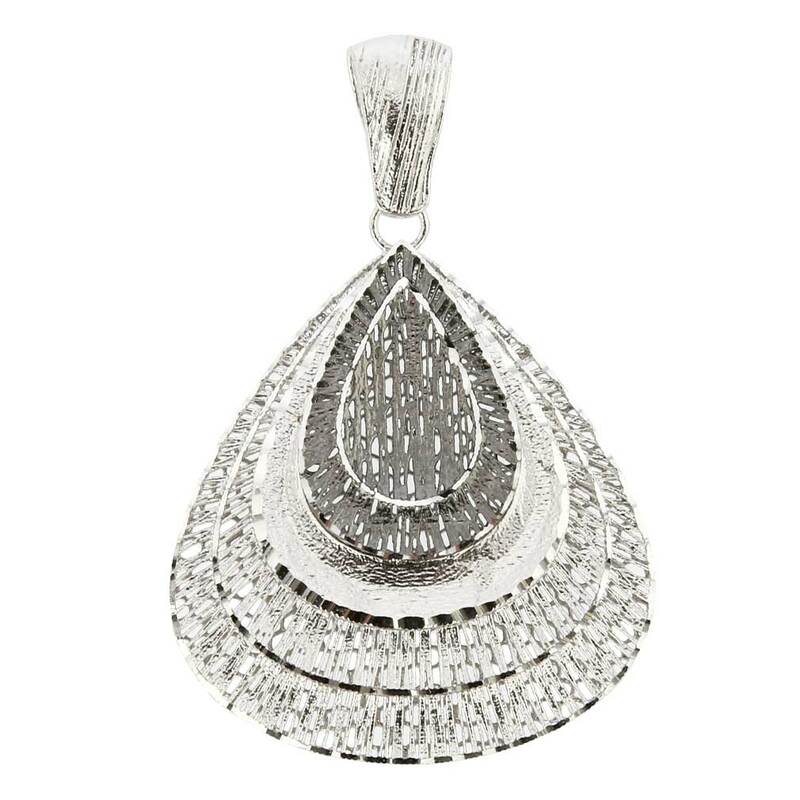 The Italian fan-shaped pendant is made of .925 Sterling Silver plated over with rhodium to prevent tarnishing. 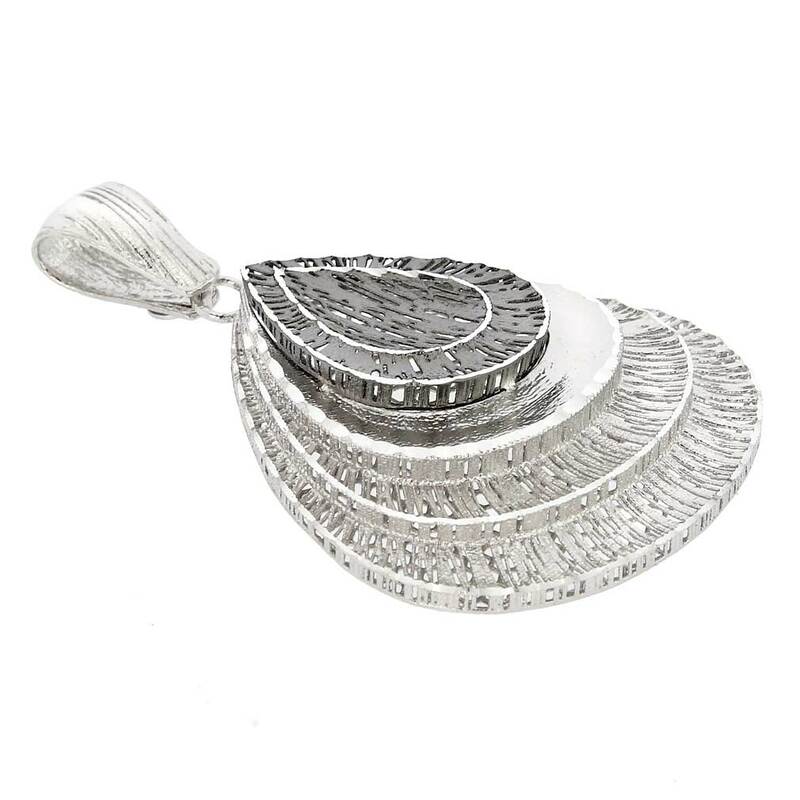 This fine silver pendant comes with an attractive velvet pouch that creates attractive presentation and provides quality protection during storage. The pendant is handmade in a family silversmith workshop in Vicenza, Italy. Very impressive piece. Love it.